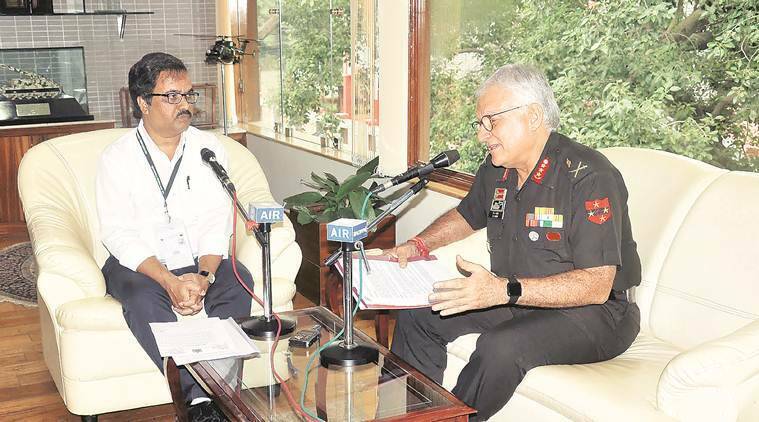 To commemorate the valour and the spirit of the Indian Army on the occasion of 19th Kargil Vijay Diwas, Pune residents will tune into a special radio message recorded by Army Commander of Southern Command Lt Gen D R Soni on Thursday. This is probably for the first time that an Army officer will go ‘on air’ to address the nation on Kargil Vijay Diwas, from the Pune station of Akashvani. In his brief message, speaking on behalf of the Southern Command and the Indian Army, Lt Gen Soni congratulated the men, who were instrumental in bringing this glorious victory to India. He also paid homage to the martyrs who made supreme sacrifices during the 1999 Kargil war. The station plans to relay this message both on its primary channel and Vividh Bharati throughout Thursday. Also, in the first week of August, the station will air an interview with Lt Gen Soni, who talks about the innumerable opportunities to work in the Indian Army, the training and many more facets of the life of Army men. In April, the Southern Command celebrated its 124th Rising Day. Earlier, the Pune station had broadcast a programme series dedicated to the defence personnel, titled ‘Salaam Vardhi’. The show featured several men from India’s tri-services and their lives. It was aired from all the stations in Maharashtra. The 19th Kargil Diwas will be celebrated through a ceremony organised at the National War Memorial in Pune on Thursday. A wreath will be laid at the Memorial by Lt Gen Manoj Pande, Chief of Staff, Southern Command, on behalf of all ranks of the Command. Subsequently, the residents of Pune will also pay their tributes to the martyrs by lighting candles at the memorial. At the wreath laying ceremony in the morning, several serving and retired servicemen will also pay their respects. The day is observed to commemorate the sacrifice of the 527 armed forces personnel and others who fought the battle of Kargil against Pakistan in Jammu and Kashmir. This year marks the 19th anniversary of the victory.